This week, we're talking with Kara Kilpatrick. Kara is in training as a psychiatrist, working primarily with adolescents. She's an ordained Presbyterian minister who's also worked as a chaplain. She somehow manages to find time to play the hammered dulcimer and mandolin and probably other things as well. She and Jeno have been at Central for several years now and we're thrilled to have her as part of our writers workshop. As you'll see in this piece that Kara adapted from one of her sermons, she is a master at weaving together intellect and emotion. Her narratives are thoughtful and precise, yet still vibrant and alive, giving us a chance to think and feel differently than we might have before listening. Just a note before we begin. Kara's story is a reimagining of Jesus' anointing in the gospel of luke which involves a woman who is described as living a sinful life. Kara unpacks this reputation and while there's nothing explicit in the slightest, if you're listening with kids, you may want to preview a bit to see what questions you may need to answer later. This season, we're listening to several writers from our writers group at central. From personal narratives, to short stories, and poetry, we have a bit of everything. Each week we'll hear from a writer and talk with them a little about their inspiration and process. This week, Aaron talks to himself—more than usual. He brings a story about what happens when life takes a strange turn and you end up spending your summer...at a hot tub store. This week, we're talking with Jan Fischer. Jan has been at Central since 1988. She was a nurse for over 30 years, spending most of her time working with newborns and infants at Humana Hospital in Lexington, now St. Joseph East. Jan often weave spiritual insights through her stories where we find interesting twists and inventive perspectives. In this personal narrative, she explores her love for gardening and her penchant for taking in unwanted plants and nursing them back to health. This week, we're talking with Juliette Wallace. Juliette is a student at STEAM Academy. She's been at Central her whole life and we're excited that she's a part of our writers group. She often brings poems to share, conjuring vibrant imagery with power and conviction. Her story today takes us on a journey up a mountain. Following metaphorically and literally a narrative arc, we find ourselves on the other side somehow different. Welcome to the new season of Wayfarer. This season we're going to do things a little differently. In the past we've had a smattering of songs and prayers and stories. This time, we're going to narrow our focus a bit. We've commissioned some works for Lent from our Writers Workshop here at Central. Each week we'll hear from a writer and talk with them a little about their inspiration and process. This is our last lenten podcast for this year, but our plan is to continue the podcast monthly throughout the rest of the year as well. So stay tuned for more stories from our congregation and from other folks in our community. If you’ve got a story to share, let us know. This week, we’re going to do things a little different. Rather than focus on an interview, we’re going to explore Holy Week with some reimaginings of scripture and some songs. Some artistic license has been taken as we consider what one follower of Jesus may have experienced during this time of trial and suffering. While we know the end of the story and we look forward to resurrection Sunday and the new life that abounds, we also have the opportunity to walk with Jesus through the suffering and the consequences of speaking truth to power. As we contemplate how Jesus stood up to corruption and injustice, perhaps we will see more clearly the systems and institutions that oppress people today. Perhaps we will hear Jesus again say that faith can move mountains, and perhaps we’ll be encouraged to speak to that mountain. Maybe we'll even give it a push along the way. On this episode of Wayfarer, we'll hear stories from Deborah Alexander and a song from Raleigh Kincaid. I grew up just south of Lexington in Richmond, Kentucky. In high school I remember swearing that when I got out, I would never live in this town again. So, of course, now we live thirty seconds from where I grew up—I timed it. Like most high schoolers, I was often bored, and so one Saturday I decided to take a drive. I went to Tates Creek Road in Richmond and turned right and kept on going. I rolled down the windows, put on my favorite Kansas tape, and drove. In a little while, the road ended fairly abruptly at the river. I was about to turn around, but a man waved me forward onto a ferry. Being the polite and respectful highschooler that I was, I did what he said. I drove onto the Valley View Ferry and went across the river. I had never been this far out Tates Creek Road before and had never been on a ferry either, but I figured I knew the way back and would be fine. I kept on going, and eventually realized I was in Lexington. Tates Creek turned into High Street, and finally, after actually getting nowhere, I decided to turn around. Though I was never really lost, for most of the trip I didn’t know where I was. That feels a lot like life to me. We are often unable to suss out our precise location in the grand scheme of things. We may have a general idea of our direction, but what’s around the bend is impossible to know for sure. And though we may know the way back home, it will be different when we return—and so will we. Often the best we can do is offer a holy guess at what road we might take and see where it leads. After all, is it the path we take or the way we walk the path that matters most? Today we’ll hear a story from Diane Campbell and music from CJ Powers. It took six years and two schools to get me through seminary. By the time I was finished, I felt like I knew a lot more and was certain of much less than when I started. Little by little, things that had been nailed down for me for as long as I could remember came unhinged. Coffee tables turned up in the kitchen. Dining room chairs slid down the hallway. The TV was in the kitchen sink. The couch was on the back porch. Everything was in disarray. The more I learned about the various threads of thought and tradition in the Christian faith, the more diversity I found within the scriptures, the more I opened my eyes to see the spark of the divine in the other, the less I was willing to say with certainty. I’m still quite an anxious person, but over time this uncertainty has become less unsettling and more freeing. Changing minds is less important than learning to see from another perspective. Having the right answers is less important than opening up to the questions. And the mystery is slowly becoming more of a friend than a threat. Today we’ll hear a story from Erika Webb and music from the Sanctuary Choir, including the anthem from last Sunday's service with Quinn Chapel A.M.E.
Each year just before Lent, we celebrate Transfiguration Sunday. In other traditions, Transfiguration Sunday comes on the second Sunday of Lent. But either way, there’s a connection between the season of Lent and this mysterious story of Jesus’ mountaintop experience with his inner circle. So today, we’re going to contemplate this mystifying story. During this season of retreat and letting go, it’s good to remember that we’re looking forward to something beautiful--transformation. It's a reorientation of our maps, a reorganization of our belongings, a reinvigoration of our stride as we travel the way of Jesus. Sometimes transformation may happen in quiet and solitude. Other times it may happen with good friends. And while some transformations may take place in prayer closets, many may find transformation on sidewalks, or wooded paths, or even rush hour traffic. Some folks have bright and shining moments of epiphany, but I have a feeling that most of us have our revelations more slowly, over years or decades. There is no formula for transformation. There is no procedure for renewal. There is no recipe, except maybe love and patience. Maybe the best we can do is put ourselves in places where we might connect with the Divine, and give ourselves a little grace to exist. Maybe we might encounter the Spirit of God in the stillness of the morning, or in the smile of a friend, in the awkward hellos of a stranger, in the sharing of a meal, in tears of grief, in making a sandwich for someone who's hungry, in painting a picture, or knitting, or reading a poem, or even dancing. And just maybe that grace that we experience will boil over into a gratitude and a love that in turn transforms the world around us. This week we'll hear a story from Rachel Childress and music from Raleigh Kincaid. It’s week 3 of our lenten journey. I didn't grow up observing Lent, but over the years I’ve come to appreciate this season more. For brooding, artsy-fartsy types like me, it fits. It’s nice to have a time of year when I can be “contemplative” rather than just plain moody. I used to see Lent as constriction—a shoring up of our moralities and behavior. But more and more, I see Lent as a widening. It’s about exploring our interior landscapes, not navel-gazing. It’s about making room, not austerity. It’s about release, not constriction. It’s about reconnecting with the Source of life, not about disconnecting from all enjoyment. I still have this tendency to think that God wants some proof of my allegiance—that somehow God is not satisfied with me as I am. And so I can tend to turn Lent into another way that I have to prove myself to be worthy of Grace, to be worth saving. But that is not the purpose of this season. God is not looking for proof of our worthiness. God is not keeping notes on if we prayed enough or if we used our “driving words” on the way home from work. God is whispering to us, calling us out into the wide open spaces, leading us into fields of grace, pointing us to where the waving wheat of gratitude sways, inviting us to find the streams of fresh clear water that spring up in the most unexpected places. Who knows what goodness may be born in our hearts when we make room for love to flower there, when we make room for life to grow and thrive? Who knows? There may be less room for some things, but I don’t think we’ll miss them. In this episode of Wayfarer we'll hear a story from Gerard Howell and music from Jane Tatum. It's week two of Lent. I don’t know about you, but sometimes, this journey uncovers things I’d rather let lie. When we venture out into the wilderness, into these quiet spaces, we encounter old ghosts, wounds that still haven’t healed, guilt over things left undone and shame for our hurtful words. Sometimes, even Jesus looks strange--muddied with old images of God formed in fear-steeped traditions, covered with vestiges of a great vengeful eye watching intently for any misstep, tainted with the amalgamation of perfectionistic parenting, power-hungry preachers, and embedded moralities that shame any variance. Sometimes when I try to enter into silence and contemplation, I worry about what I’ll find. Who will I meet? Will it be that vengeful God that still haunts me from long ago? The one that constantly threatened punishment? Will it be the God that demands perfect obedience without question? Will it be the God that is ashamed of me and cannot look upon my sinfulness? Our anxieties can sometimes make it hard to see what God is really doing. And in the end, it must come down to faith. Who is this God we seek? As we look, at the story of the woman at the well, we find a God who is not ashamed of our bad reputations or our social status. We find a God who doesn’t demand perfection or look for ways to punish. Rather, we find a generous God who goes way out of the way to meet with someone on the margins. This God opens up the past in a way that is healing and transformative--embracing all of us, and welcoming us into a generous communion. I hope you see that God that knows you fully and loves you completely, not in spite of your shortcomings, but because you are beloved. It’s that time of year again. We’re back for another season as we journey through Lent together. This year, we’re going to do things a little different than before. The past couple of years we’ve done a daily podcast throughout the lenten season and I’ve lived in my basement all alone with nothing but enormous amounts of coffee and spray cheese, but this year we’re moving to an extended weekly podcast with what we think are the best sections of our previous episodes. Today we’re talking with Mark Thomas. Mark and Lucy, along with their son Canaan, came to Central last year after returning to the area from Texas where Mark taught Philosophy at Blinn College in Bryan, Texas. Mark and Lucy have traveled to many places, and we’ll hear about one of those trips now as we begin our journey into Lent. Today we wake to find the tomb empty. Jesus is risen from the dead and is alive. The time of suffering is over and we can celebrate in the life Jesus offers to all. Thanks to Susan Waggener and Pete Grass for reading scripture and to Central's Sanctuary Choir for singing on 'Bright and Early.' This ends our Lenten series for this season, but we'll be back periodically with more stories from fellow wayfarers. On Holy Saturday, we enter that strange space between. Jesus has died and the disciples have gone into hiding. Today we contemplate the waywardness the disciples must have felt as they waited, struggling with their loss and grief. So today, before our celebrations, we consider this great loss. And yet, the brightness and glory of the resurrection is even brighter when juxtaposed with the darkness of this day. The song we’ll here contemplates what the disciples may have felt after Jesus’ death and burial--the muddle of feelings and dashed hopes that we all experience in our times of grief. And still we hope, for tomorrow is a new day. Today we follow Jesus to the cross and into the darkness. It seems odd to call this day good, but we come with the faith that God will bring life renewed. We usually don’t have podcasts on the weekends, but there’ll be a couple of shorter, reflective pieces this weekend--one for Holy Saturday, and then one for Easter Sunday. Today, we'll hear a poem by Bill Campbell titled 'Among the Crowds.' Thanks to Christie, Matt, Skye, and Adam Gabbard for reading scripture. The music for the readings is by Matt Gabbard. Today we follow Jesus through the Passover meal, sharing the bread and cup with his disciples. We’ll watch as he is betrayed, arrested, and questioned. And still, he continues to walk the path of peace. We’ll begin with a prayer from Rachel Childress that she read on Palm Sunday. Thanks to Rebecca, Jamie, Ethan, Juliette, and Millie Wallace, and Isaac Scott for reading scripture. Music by Aaron Austin. It's Wednesday of Holy Week. On Sunday, we’ll be shifting our themes of unlearning to the theme of learning life as we celebrate Jesus’ resurrection, but as we follow Jesus through this last week, there is still suffering ahead. Today, we’re going to hear a story from Carol Hodges, a long-time member of Central. Carol’s shares a story about loss in her life and the support of friends and faith family in the midst of death’s shadow. And how though the scars of our losses linger with us, there is also the possibility of hope and renewed life in the wake of our griefs. Thanks to Gwen and Arnetta Hart for reading scripture for us. It’s Tuesday of Holy Week. We’re follow Jesus’ movements through his last days of ministry before his death and resurrection. Tensions between Jesus and the religious establishment are growing--the Prince of Peace is an enigma to the power structures of the day, and his way of peace and generosity threatens their power. We’ll contemplate these scriptures together, read by Claudia Hall, Rachel Childress, and Judy Thompson. Also, we'll hear music from Central's sanctuary choir. It's Holy Week. Yesterday we celebrated Jesus’ coming kingdom with palms, all too aware what this week would entail. Jesus continues to speak out for justice, refusing to change his tune and allow the powerful to rest easy in their abusive, status-based structures. So this week, we’ll follow Jesus’ movements through his last week of ministry. Our practice will be contemplating these scriptures, read by members of Central. In the spaces and gaps around the scripture, listen for God’s word to you. Thanks to Kit and Diane Montgomery for reading and to Jane Howell for her music on the harp. Today as we think about liberation, we’re talking with our Senior Pastor, Mark Johnson. Mark shares an excerpt from Carlyle Marney's Faith in Conflict. As we think about this new birth and liberation from old ways and shames, we find hope and sustenance in the stories we share. Thank you for helping make this podcast by being willing to join in. Your voices are essential. From folks who called in prayers and beatitudes, to those who came in for interviews and shared their stories, from to the musicians who played and and sang, to Raleigh, Mark, and the Choir, thank you so much. Thanks also to Charles, Crystal, and Mark who shared with us each week, and to Trisha for organizing things and getting people to call in prayers. And thanks to all of you for listening. This podcast is just a natural outgrowth of Central’s DNA. This place is filled with stories of folks caring for each other and standing with each other in hard times. Next week, the podcasts will be a little different. Since it’s Holy Week, we’ll focus more on the scripture for each day as remember Jesus’ actions in his last week of ministry. Today we’re thinking about generosity as we pray for the powerful and the powerless in our community and our world. We'll talk with our Associate Pastor, Charles Conkin as we join in prayers of the people. We'll also hear music from Jane Howell. Don't forget to call in your beatitudes for our podcast. We still need several for Monday's episode. Just leave a message at (859) 813-0150. Today as we think about unlearning power, we're talking with Dr. Laura Levens. Laura is a professor at Baptist Seminary of Kentucky, in Georgetown, Kentucky and is also as a member at Central. Unlearning power invites us to actually look more deeply at our own unconscious motivations, to understand the power that we possess and how we can use that power for life. Laura shares examples from history that show how we can find alternative forms of power to work for justice for everyone. We'll also hear music from Jane Tatum. Don't forget to call in your beatitudes for our podcast. We still need several for Monday's episode. Just leave a message at (859) 813-0150. This week as we continue thinking about unlearning power, we’re preparing for Palm Sunday and Jesus’ triumphal entry into Jerusalem. With familiar passages like this one, it's sometimes easy to forget just how much they turn our expectations upside down. Jesus enters Jerusalem not as an imposing king, but riding on a donkey--truly a prince of peace. He doesn’t come in force to topple heads of state, but he comes humbly, a power willing to sacrifice and infuse the grassroots. “My Kingdom is not of this world,” can make it easy to see the ways of Jesus as guidelines for spiritual exercise and divorce these actions from their real-world consequences. But Jesus doesn’t seem to have this disconnect. True, his kingdom is not bound to terrestrial borders, but his kingdom is not resigned to the mystical either. Jesus is bringing the kingdom of heaven to earth. Jesus is fusing divinity and humanity. Jesus is bringing the ways of God to the dusty roads of Jerusalem and to our roads as well.Today, we'll also enjoy music from the Sanctuary choir. Don't forget to call in your beatitudes for our podcast. We still need several for Monday's episode. Just leave a message at (859) 813-0150. This week we're thinking about unlearning power. As we look at the beatitudes again, it seems that they are talking about a paradoxical power that lives in weakness. Jesus invites us to think beyond the dualistic, black and white options that seem to be the default for our culture. We are welcomed into a divine collaboration to find creative solutions to human suffering. So maybe the Beatitudes are things that we become. Bill Campbell joins us today, to share a story that may some light on our becoming a beatitude and embodying blessing to others. We'll also hear music by Aaron Austin.Don't forget to call in your beatitudes for our podcast. We still need several for Monday's episode. Just leave a message at (859) 813-0150. Today we'll think about Confession and how Jesus calls us to a life of forgiveness as we talk with our Senior Pastor Mark Johnson. Our psalm for this week (Psalm 130) speaks to God’s forgiveness for us personally and for humanity. So for our practice today, we'll take time to accept the forgiveness that Jesus offers to us and then offer forgiveness to others. We'll also hear Love Will Win, a song by Aaron Austin.Don't forget to call in your beatitudes for our podcast. We still need several for Monday's episode. Just leave a message at (859) 813-0150. As we continue to reflect on this week's scripture, we're talking with our associate pastor, Charles Conkin. This week we've been hearing stories of death and new life. We see the work of God bringing healing and wholeness to places that were once dry. As we consider those places in our lives where we have experienced grief and loss, we remember those in our community and our world who have also experienced loss. We'll also hear a song performed by Greg Hancock. Don't forget to call in your beatitudes for our podcast. We still need several for Monday's episode. Just leave a message at (859) 813-0150. Today, as we think about generosity and unlearning hate, we’re talking with Ashley and Sharon Holonia. We'll hear a story that Ashley and Sharon shared in the aftermath of the election about a terrible note that was left on their car. They'll also share another story of an interaction they had with a neighbor about a welcome sign in their yard expressing solidarity with immigrants. While these are things that we wish they didn’t have to deal with and that nobody should have to endure, their graceful response inspires us to be the love and acceptance that we hope to see in the world around us—to trust what God says about who we are so that we can respond with dignity and kindness even when we encounter hate.Don't forget to call in your beatitudes for our podcast. We still need several for Monday's episode. Just leave a message at (859) 813-0150. As we continue our theme of unlearning, this week we're talking about unlearning hate. Today, we're talking with our Associate Pastor Charles Conkin as we focus on openness. We'll be listening to Ezekiel's vision of the dry bones from Ezekiel 37, taking time to contemplate the arid places in our own lives and ask God for nourishment. We'll also enjoy a song from Raleigh Kincaid, written by Daniel Bailey. Don't forget to call in your beatitudes for our podcast. We still need several for Monday's episode. Just leave a message at (859) 813-0150. Today as we think about Gratitude, we’re focusing on the beatitudes again and wondering who Jesus would call blessed today. Later, we'll hear some of the beatitudes you've written. Perhaps we don’t find the Beatitudes surprising because they’re so familiar. We expect Jesus to say things that are counter to the culture of ancient roman-controlled Palestine, so it’s easy to limit their scope to that time and place. While Jesus is certainly speaking to his contemporary context, we would be remiss to not extrapolate these words for our context today. Jesus is painting a picture of God’s community. In this community, it’s okay to be at the end of your rope. It’s okay to grieve. It’s okay to be humble. It’s okay to know you’re a spiritual beginner. It’s okay to give second and third and fourth chances...and more. It’s okay to not demand your way. It’s okay if people don’t like you when you’re working for justice. In fact, these are good things. In fact, you may be happy in the end. Don't forget to call in your beatitudes for our podcast. We still need several for Monday's episode. Just leave a message at (859) 813-0150. Today, as we focus on liberation and continue thinking about unlearning death, we’re talking with our Senior Pastor, Mark Johnson. Mark shares how the lenten practice of self-denial is not an attempt to gain God's approval or forgiveness, but rather a joyful letting go. Our time and effort can easily be consumed with activities and things that are not life-giving. Self-denial can be a practice of letting go and making room for the life-giving work and presence of God in our lives. Today, we'll also enjoy music from Laura and Justin Levens. Don't forget to call in your beatitudes for our podcast. We still need several for Monday's episode. Just leave a message at (859) 813-0150. Today we’re focusing on generosity as we think about caring for our community and our world. We'll talk with our Associate Pastor, Charles Conkin, as we continue thinking about our Gospel lesson John chapter 9. For our practice today, we'll spend some time praying for our community with a guided prayer. We'll also hear a song from Aaron Austin. Don't forget to call in your beatitudes for our podcast. We still need several for Monday's episode. Just leave a message at (859) 813-0150. This week, we’re talking about unlearning death--not just the cessation of physical life, but the many deaths, big and small that we encounter along the way. Today we’ll talk with our Associate Pastor of Congregational care, Crystal Shepherd, as we look at the story of Jesus healing a blind man in John chapter 9. Crystal shares about how in the continual process of dying and being resurrected to new ways of life, we find hope and transformation. Don't forget to call in your beatitudes for our podcast. We still need several for Monday's episode. Just leave a message at (859) 813-0150. Last week we talked about how writing these beatitudes may be less about creation and more about discovery. We may find beatitudes each day in our own experiences or we may find beatitudes as we reflect on our histories. Today we'll hear some beatitudes that you've called in and a beautiful song from Jane Tatum.Carol Boston Weatherford uses the Beatitudes as fertile soil to begin her beautiful picture book titled The Beatitudes: From Slavery to Civil Rights. This book starts with the Beatitudes and moves through the history of African Americans, and how they found hope and inspiration throughout a continuing struggle for equality and justice. Though this diverges from the format of the Beatitudes, it reveals the deeper connections of God’s presence and blessing in the midst of suffering and struggle. These words represent important voices in our faith that we need to listen to and learn from. As we look back over our histories and the histories of our brothers and sisters in the light of Jesus, can we see how God supports and lifts up those working for justice? Can we see how God makes a way for peace and freedom? Maybe then we’ll find ways to join alongside God in the work of justice today.Don't forget to call in your beatitudes for our podcast. We still need several for next week's episode. Just leave a message at (859) 813-0150. Today we’re talking with our our senior pastor, Mark Johnson, as we think about Liberation and how our spiritual practice involves community. We'll also enjoy music by Central's Sanctuary Choir. Our spiritual practice often focuses on the inward journey to communion with God, but that is not the only trajectory of our faith. We also make the journey outward to connect with others in the community of faith. As we walk together in life experiences and in the worship of the faith community, we find not only encouragement, but challenge and growth. Jesus invites us all into community with him and thus, we must learn to find community with one another. Don't forget to call in your beatitudes for our podcast. We still need several for Monday's episode. Just leave a message at (859) 813-0150. Today we'll continue thinking about unlearning shame as we consider the woman at the well. Our associate pastor Charles Conkin will guide us as we think about generosity and how Jesus removes the walls we often place between people. We'll share together in a guided prayer for those in our community and our world who find themselves separated by walls of prejudice and shame.Don't forget to call in your beatitudes for our podcast. We still need several for Monday's episode. Just leave a message at (859) 813-0150. Today, Mary Showalter tells a story about a lady who lived next door when she was a child growing up in eastern Kentucky. In Mary's story, we see compassionate relationships that go beyond boundaries of race and culture. We'll also hear a song from Raleigh Kincaid.As we look at this story alongside John's account of the woman at the well, we see how Jesus continues to venture out beyond the walls and boundaries that society and politics place between us. We find grace and blessing, wisdom and sustenance in the company of the other. Jesus greets us with welcome, casts off our shame, and calls us to move out into the world--to go to places where we are not in control--to be in spaces where we are the other and to stand beside those who have been marginalized and oppressed.Don't forget to call in your beatitudes for our podcast. We still need several for Monday's episode. Just leave a message at (859) 813-0150. This week in our Lenten series of unlearning, we’re thinking about unlearning shame. Today, we'll consider John’s account of the woman at the well. Jesus goes straight to the heart of the marginalized and cast aside and offers hope. We’ll talk with our Associate Pastor of Congregational Care, Crystal Shepherd who’ll lead us in the practice of lectio divina. At the beginning, Crystal will mention the struggles of dealing with shame associated with sexual assault, and while there are no descriptions or details, you may want to preview this part if you’re listening with children or skip ahead if this could be a trigger for you. Crystal handles this difficult subject with grace and sensitivity, and no matter the severity of our personal experiences, we all have dealt with the burden of shame.Don't forget to call in your beatitudes for our podcast. We still need several for Monday's episode. Just leave a message at (859) 813-0150. Today, we hear some of your beatitudes and we talk with Bill Campbell, a member at Central and a retired English professor at UK. He tells about a beatitude he discovered in his bird bath in the early morning. Really. As we write our own beatitudes, we’re just improvising on a theme that Jesus began long ago--things aren’t always what they seem; underneath there is a current of grace that often goes unnoticed. So maybe beatitudes aren’t things we can write or create. Maybe they are discoveries--like electricity or gravity or the Higgs Boson or like the healing powers of penicillin found in a moldy dish. Maybe just by being present right now in this moment we can uncover those streams of grace that are flowing unnoticed. Maybe just by knowing that God values those things that seem weak and insignificant, those people who are pushed to the edges and silenced, that will give us an idea of where to look. Not too long ago at Central, we had some signs printed that you may have seen. These green, blue, and orange signs have the words “No matter where you are from, we’re glad you’re our neighbor” in Spanish, Arabic, and English. This program was started at Immanuel Mennonite Church in Harrisonburg, VA in 2015 as a way to fulfill their church motto, “Real people following Jesus’ radical call to love and service.”Lots of folks from Central took these signs and put them up. We’ve got more on the way, so don’t worry if you missed it. Today, we'll listen to a story from the Gabbard's about an encounter they had because of one of these signs they placed in their yard. Our acts of light and kindness won’t always engender positive responses, but sometimes they do. And we can cherish these times and be reminded that no matter what we experience, there are folks who need to see these words of welcome.So, it seems to me that a skillful practice is to try to untangle the outcomes we may get from our acts of kindness, from the acts and from our own identities. We are inspired to share welcome and love with others because of the life and message of Jesus. And Jesus was not always met with glowing responses of gratitude. Like in our scripture passage this week, Jesus’ encounter with Nicodemus was full of misunderstandings. The beauty of the call of Jesus is that we are already accepted and welcomed as we are. So no matter responses we get from others, be they positive or negative, we can trust that we are already welcomed into grace. Already welcomed into love. Already welcomed into the life of Christ. We can be grateful and inspired when we see that love reflected in others, and we can find hope and courage to continue when we find resistance. Because the smile of God is on us. God is for us. Thanks also to Jane Tatum for sharing her music with us. Write your own beatitude and call it in so we can use it in a future episode. Just leave a message at (859) 813-0150. Today, we continue thinking about how we can unlearn worry with Charles Conkin. It is often the darkness, the unknown, that causes us to worry. The story of Nicodemus uses this theme of darkness and light, knowing and unknowing. Charles will lead us in a guided prayer for our world, our community, and our own personal lives, as we acknowledge our worries and entrust them to God. Central's Sanctuary Choir also performs a beautiful anthem from last Sunday's worship service, directed by Raleigh Kincaid and accompanied by Mark DeAlba. We’re collecting beatitudes. You know, the sayings of Jesus we find at the beginning of the Sermon On the Mount, “Blessed are the poor in spirit…blessed are the peacemakers...blessed are the meek…” Who would Jesus call blessed today? Write your own beatitude and call it in. Just leave a message at (859) 813-0150. Today we're talking with Pastor Mark about our lenten theme of unlearning. When we come to God, we bring a lot of expectations. These expectations can color our experiences and prevent us from seeing God clearly. Though we will never see clearly, we can find healthier and more productive vantage points. God invites us to a transformative encounter that brings out our truest selves. Mark shares how we can find liberation in good theology and the simple practice of silence. This week, we’re thinking about unlearning worry. If you’re like me, that just raised your anxiety a few notches. Now I’m worried about the fact that I worry so much, and I feel a vicious cycle forming. This week we’re looking at the story of Jesus’ encounter with Nicodemus in John chapter 3. I feel for Nicodemus. He's obviously not understanding what Jesus is saying. Honestly, I’m scratching my head too. But maybe Jesus’ words are just as much about the effect as the content here. Maybe the confusion they create is, in fact, the point. Maybe Jesus is inviting faith. Maybe Jesus is inviting belief. Maybe Jesus is saying, trust me. And then at the end, He tells us why. “I’m not here to judge and blame and label. I’m here because of love. I’m here to redeem. I’m here to save. And you’re not going to understand this mystery. You’re not going to be able to own this and appropriate it for your own agendas. No, it’s much too slippery for that. This is good news. Really good news. Relax. I’m here. I’ll meet with you in the dead of night. I’ll meet with you in the day. I’ll meet with you if you get it and I’ll meet with you if you’re lost as can be. And you’ll be all of those things. "So, today, we’re going to spend some time with this passage of scripture in lectio divina. We’re going to let it work on us, and as we often say in worship at Central, work its way into us. Thanks also to Jane Tatum for sharing her music with us. In our culture of tweets and texts and instant everything, we tend to simplify things into easy sound bites like "you get out what you put in," or "God helps those who help themselves." But Jesus is calling us into a new way of being. Because when we look deeper at the complexities of life, we find that these small-minded sayings don’t account for the variety of experiences that people face. Poverty, racism, loneliness, unemployment, domestic abuse, and terminal illness can’t be explained away or justified with some nice platitude. These are human conditions with a host of complex causes and repercussions that we can never tease out.The way of Jesus calls us to think more deeply about our existence. Jesus invites us to unplug from the power and success machine. Jesus invites us to a way that doesn’t need to win or be better. The Beatitudes call us to a deeper consideration of our inner landscape and our communities. We'll contemplate these sayings of Jesus and some of the new beatitudes you've written. Write your own beatitude and call it in so we can use it in a future episode. Just leave a message at (859) 813-0150. Since we’re talking about unlearning fear this week, we thought we might talk with some of our children and youth about things that they’re afraid of. We'll hear from them during today's podcast. We'll also hear a song from our Sanctuary Choir, "Bow Down Low. "Fears are hard to change. It’s really hard to unlearn some of these things. There’s no magic bullet, but maybe taking time to acknowledge our fears and invite Jesus to be with us in their presence is a start to unlearning. Jesus went out into the wilderness without provisions, fasting and praying. Alone. No one was there to help out or talk to except the snakes and the coyotes. And there in the lack, in the less-than, in that liminal space, Jesus hones his purpose. He chooses not to take the path of power and influence from on high, but the path of openness and liberation from the grassroots. He chooses the long way. He chooses the harder road. He chooses a community of mutuality and cooperation. He chooses a path less certain. So, you’re not alone on your journey. Jesus knows about the late nights and the long days. Jesus knows about the loneliness and the hunger. Jesus knows about the fickle friends and the prideful politicians. And Jesus walks with you. Our scripture for Sunday is a familiar passage, Jesus’ journey into the wilderness and temptation. In Matthew’s gospel, it seems like the waters of Jesus’ baptism have barely dried when he is led by the Spirit into the wilderness. Like the transfiguration story from last Sunday, we move from this affirmation of Jesus’ divinity as the beloved child, and then, immediately, we move into the dusky valleys and wildernesses of life. God’s call doesn’t always take us to the beautiful mountaintops and refreshing waters. Sometimes, God calls us to the scraggly wilderness and the parched lands as well.By the way, we’re collecting Beatitudes. You know, the sayings of Jesus we find at the beginning of the sermon on the mount, “blessed are the poor in spirit…, blessed are the peacemakers..., blessed are the meek…” Who would Jesus call blessed today? Write your own beatitude and call it in. Just leave a message at (859) 813-0150. So here we are once again at the beginning of Lent. Ash Wednesday, when we bring out the ashes of the palms we celebrated with last year and remember that we, too, are made of dust. That one day our bodies will return to the earth. And yet, we are also graced with the spark of the divine and are all invited to join in communion with God and God’s gracious community of life. We’re collecting beatitudes. You know, the sayings of Jesus we find at the beginning of the Sermon On the Mount, “Blessed are the poor in spirit…blessed are the peacemakers...blessed are the meek…” Who would Jesus call blessed today? Write your own beatitude and call it in. Just leave a message at (859) 813-0150. 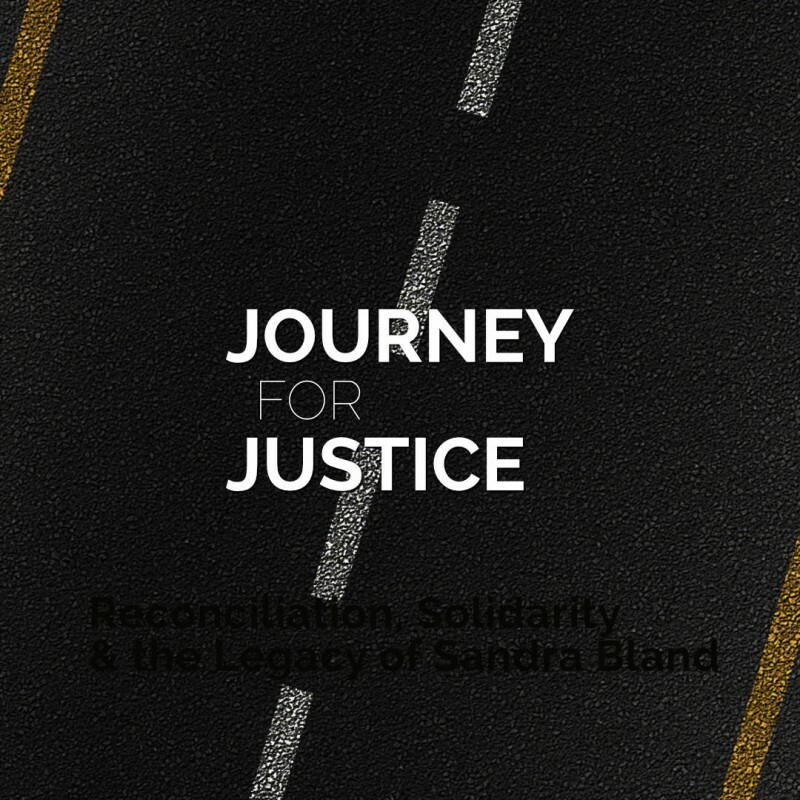 A conversation about the activism and legacy of Sandra Bland with Reverend Hannah Bonner. Reverend Bonner led prayer vigils at Waller County Jail in the aftermath of Bland’s death and led the campaign to correct the public narrative of Sandra Bland's life. Bonner calls white Christians to a continuous discomfort in the path of racial reconciliation and a solidarity that does not break. The event will begin with musical selections from the University of Kentucky Black Voices Choir. Presented by Central Baptist Church and Baptist Seminary of Kentucky. In this episode we talk to Ahenewa El-Amin and Ricardo Franklin about how they have been affected by violence in Lexington. 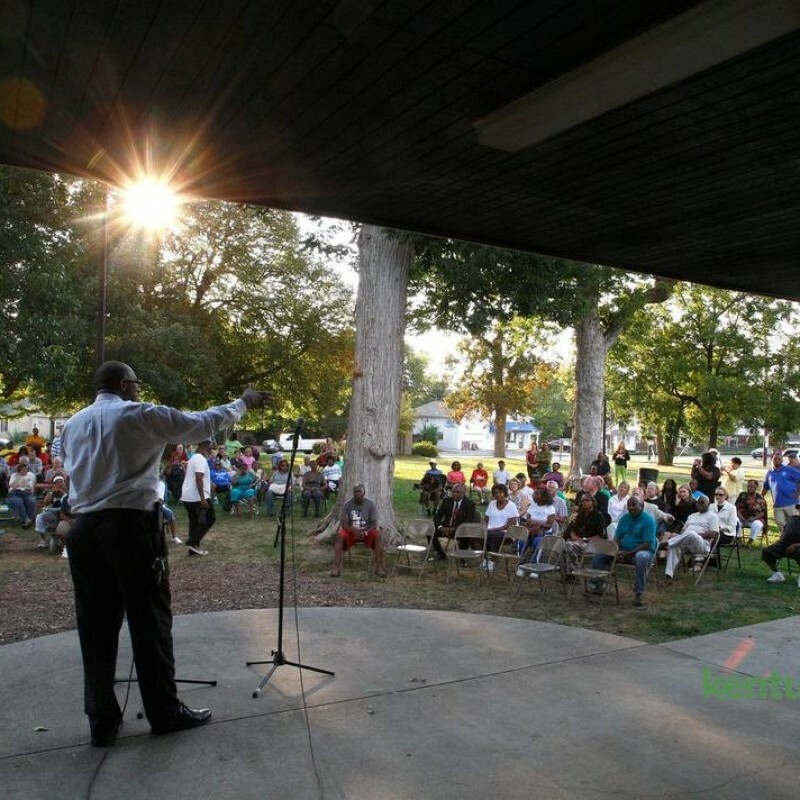 Both Ahenewa and Ricardo have lost brothers in two different Lexington Parks. Both men were innocent bystanders killed by gunfire. Ahenewa and Ricardo share their perspectives and help us see not only the effects of violence, but the importance of sharing these stories and encouraging our community to bear witness. Tell us what you're thankful for! Call (859) 813-0150 to tell us what you're thankful for. But do it quick!